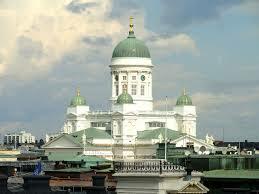 We have cheaper car hire in Kuopio Airport, as well as discounted rates for estates, 4WD SUV, MPV and minivans. Get a quality vehicle, at a good price, from one of these companies:- AddCar, Avis, Budget, Europcar, National/Alamo, Scandia Rent or Sixt. You get discounts on usual vehicle rental rates of known suppliers, with same quality and service, with CDW, roadside recovery, insurance and mileage included. "Best book early, for Kuopio Airport, to ensure you get the vehicle you want, at the right price for you." Apart from being the home to SantaClaus, Lapland is also a good place for the Northern Lights, when the night sky lights up and dances! Discounted Kuopio Airport driving made simpler. Cheaper estates, MPV and SUV rental in Kuopio. We also offer lower cost car rental in next door Sweden.